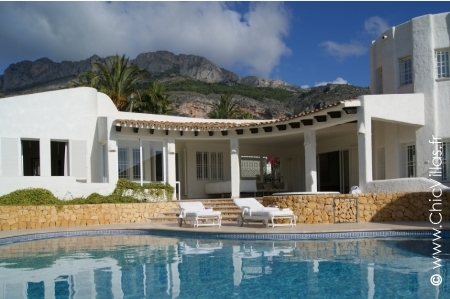 Ambiance Costa Blanca is a Hacienda-type family villa in Altea, near Benidorm. White walls, exposed beams and cool tiled floors give the property a bright and inviting feel, stylishly combining Spanish tradition and modern convenience. Breathtaking sea and mountain views create a picture-perfect backdrop for a fabulous family holiday. Blanca Javea lies between Valencia and Alicante on the Costa Blanca. Whitewashed walls and terracotta tiles give this Spanish villa a cosy and inviting feel, while the garden and pool are perfect for soaking up the sun. Blue and Beach is a pure gem of a beachfront property. 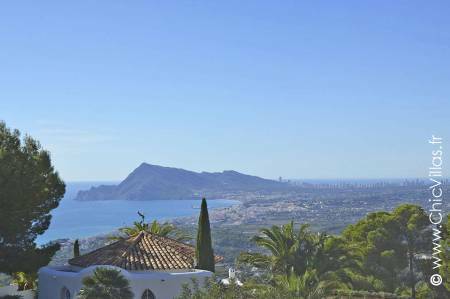 Indulge in total luxury at this villa on the Costa Blanca, nestled on a hillside location with breathtaking views of Altea Bay. Luxury Dream. Where luxury becomes reality! Enjoy the holiday of your dreams at this stunning contemporary villa. 500 sqm of decadent elegance poised above the turquoise waters of Altea's bay offering stunning views and sumptuous style. 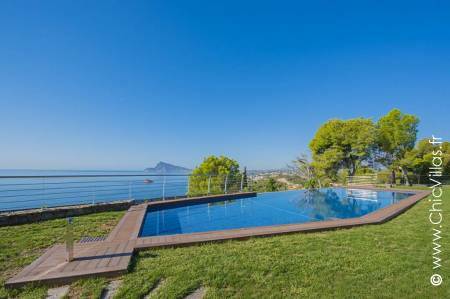 Quality villa rental with pool in Spain. 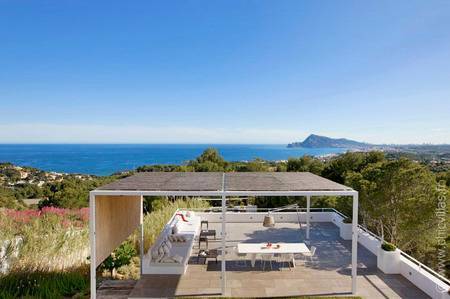 Enjoy out-of-this-world views at the aptly named Panoramica Costa Blanca. This beautifully modern luxury villa with a swimming pool oozes elegance, light and space against an exhilarating backdrop of sea and mountain views. Unwind at this beachfront villa as you contemplate the horizon against the rhythmic lapping of the waves. 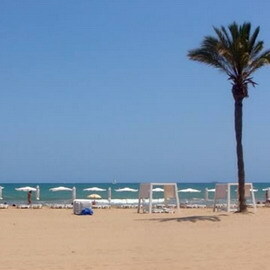 Solo Mar Costa Blanca is a delightful blend of bright spaces, soothing hues and uplifting views. 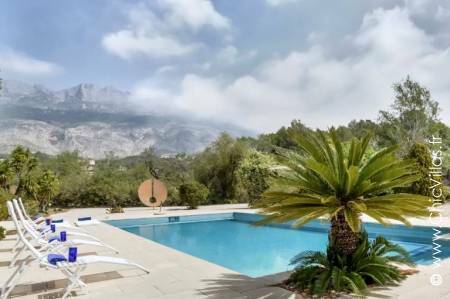 This luxury property sits snugly on the shores of an old Spanish fishing village between Alicante and Valencia on the Costa Blanca. Pure white lines contrast against blue sea and skies, creating the ultimate Mediterranean setting for a blissful break. Enjoy front-row views of transparent waters, a sandy beach on the doorstep, and a delightful village just a short walk away. "Veraneo" is a charming and attractive villa. Built in the foothills of the Sierra, it overlooks the neighbouring golf course and enjoys a pleasant sea view on the horizon. Discover the sunshine and the unique climate of Spain's Costa Blanca! Bringing to mind the ocean-going cruise liners, with its original architectural design this house offers numerous terraces from which you can admire the panoramic view over the bay and its blue waters. Spain's Costa Blanca offers visitors a succession of maritime landscapes and sierras. "Villa La Huerta" blends perfectly into this delightful setting synonymous with great holidays and relaxation. 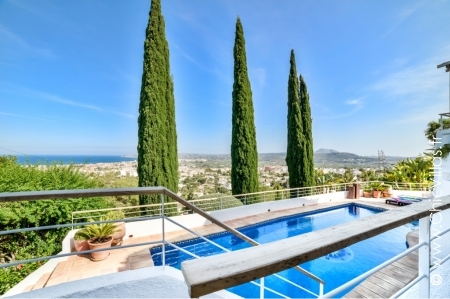 Rent a luxury villa in Spain and enjoy a prestigious property in beautiful surroundings. Right by the beach and close to interesting places to visit, your villa will be a haven of peace amid in a luxurious natural environment. 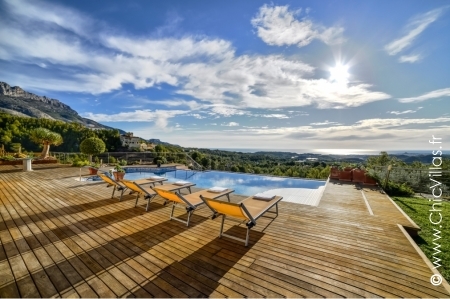 Renting a holiday villa in Spain is a good way to ensure great weather. Sun-worshippers will be in heaven on the Costa Blanca, but if you prefer to be out and about then there’s lots to see here too. Typical local villages will be happy to welcome you to learn about their history, and if you want a culture fix then a number of museums in the region will be able to oblige. The Costa Blanca enjoys excellent sunshine, so it’s the perfect place for a beach holiday. There are also lots of little coves along the coastline to get away from the crowds. Apart from swimming in the Mediterranean Sea, you can also try your hand at water sports for thrills and spills. After a busy day of sun, sea and sight-seeing, you will be glad to go back and relax at your luxury villa. Our villas have beautifully decorated and well laid-out interiors which let the light flood in. Outside, you can eat al fresco on a shaded terrace with a sea view, or cool down in an infinity pool. 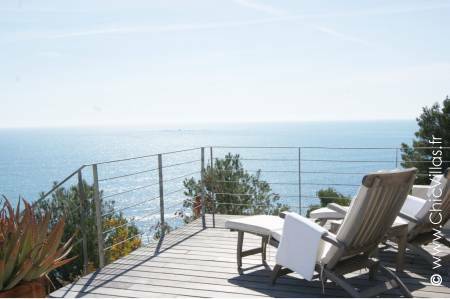 Enjoy the holiday of your dreams at one of our luxury beachfront villas in Catalonia or at French properties in Provence and on the Cote d'Azur.